The Chests Bow-Front 3-Drawer Mirrored Chest by Stein World at Colder's Furniture and Appliance in the Milwaukee, West Allis, Oak Creek, Delafield, Grafton, and Waukesha, WI area. Product availability may vary. Contact us for the most current availability on this product. A chest with doors, drawers and shelves can provide functionality, closed storage and a beautiful accent to any room in your home. Choose from a variety of door chests, chest with drawers, bombe chests, serpentine chests, scalloped chests, vintage chests, demilune chests, chest on chests, or carved chests to create stunning accent or finishing touch to your home. 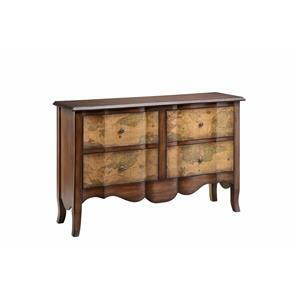 A eclectic array of traditional, cottage, country, tropical, contemporary or casual styled chests are featured. Introduce one of these finely crafted, ornately detailed and versatile chests to your home decor today! 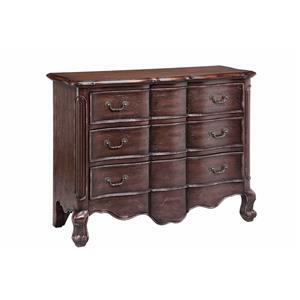 The Chests collection is a great option if you are looking for furniture in the Milwaukee, West Allis, Oak Creek, Delafield, Grafton, and Waukesha, WI area. Browse other items in the Chests collection from Colder's Furniture and Appliance in the Milwaukee, West Allis, Oak Creek, Delafield, Grafton, and Waukesha, WI area.